Quyen Tran is a dedicated individual who holds a strong passion for real estate and genuine compassion for people. 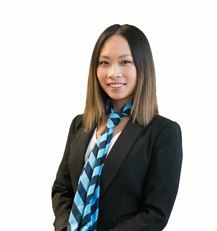 Quyen’s sole focus is to prioritise each individual client to help achieve their ultimate property goals. Her primary approach entails honesty, integrity and strong work ethics. Her open communication style keeps clients informed every step of the way - to achieve the best possible solutions in a timely and efficient manner. Quyen’s knowledge of the local market and surrounds combined with her profound drive to achieve results will guarantee you exceptional transactions. If you are considering Selling or Buying and would like to have an informed discussion about your Real Estate options, please do not hesitate to call Quyen today on 0452 281 776. Alor is an energetic, well composed and optimistic young man who has an immense work ethic & desire to ensure clients are well pleased with the end result. 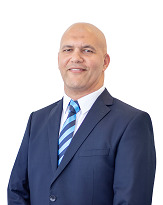 He is enthusiastic about working for the Caroline Springs Harcourts team, his strong passion for real estate is displayed when his determination to complete tasks in a professional and timely manner are exhibited. 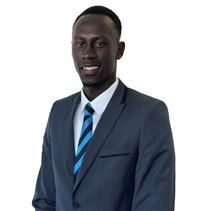 Having worked within the construction industry and Aldi fields which are both very customer orientated Alor has learned from a young age the importance of customer satisfaction, excellent client services and people skills through his innate ability to listen and understand his clients needs. ‘Real estate transcends past just property, it’s about people; understanding their needs and building a strong relationship on the basis of two-way trust and communication’. As the demands of the real estate passion takes most of his time, Alor still manages to channel significant energy into sports both watching and playing namely Soccer & Basketball. Alor’s energy & ambition to exceed expectations and set new benchmarks will undoubtedly ensure his success in real estate at Harcourts Caroline Springs. Manish combines amazing agility, a strong intellect and exceptional customer service with a lifelong love for real estate and property development. He moved to Australia for further career growth with an extensive experience by working in real estate, retail and insurance industry. He joined Harcourts Caroline Springs with a view to help people realise their dream and be their property consultant. Manish is someone who will ensure your property is cared for by a true professional who values honesty, reliability and commitment. With a sturdy foundation of a Master’s degree in Business Management. He follows strong business ethics and a high degree of professionalism. Being fluent in English, Hindi and Punjabi and understanding of different cultures is an extra asset. Dealing with customers for over 10 years, these skills mentioned help him to provide the best possible service for his clients. His warm and humble personality delivers a positive and trusting experience with everyone he meets. Manish loves spending quality time with his family and friends. He has a passion for adventure and loves to discover the many gems Victoria has to offer, from its immensely diverse cuisine to challenging outdoor escapades. 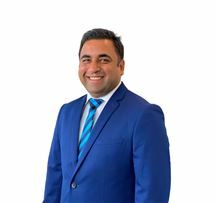 So, if you’re looking to buy or sell real estate in Caroline Springs or the surrounding area, Manish can be contacted at Harcourts Caroline Springs on 03 8385 0260 or via mobile on 0452 451 776.